I picked up PDW’s Spaceship™ 3 a couple of months ago, an emotional separation from my old CatEye Opti-Cube from waay back in 2009 (may it rest in peace). The most important factor for me when it comes to headlights is (surprisingly) visibility. I was optimistic, and after a little research and field-testing, I found that the Spaceship™ was indeed more visible from the side than a number of other headlights I’ve had in the past. I’ve also been happy with the Spaceship™’s energy efficiency. I’ve been re-charging my AA batteries less often than I’d expected to and have found there to be no corresponding decrease in luminosity. And while the indexed-diameter mounting hardware seems to be exceptionally secure, it does require the use of a tool (just a regular old Philips-head screwdriver) to set the clamp to the correct diameter- which could be unclear or inconvenient for some consumers. But overall, I think that the Spaceship™ offers a good degree of bang for its buck in comparison to its competition in the $20-$30 price-range. Don’t be afraid to ask your mechanic to help you set up the mounting hardware. We love installing mounting hardware! PDW advertises that the Spaceship™ 3 lights are built to withstand both rain and meteor showers! I managed to test that claim in both over the last month and I can say that the lights are working just as well today as they were when I first picked them up. 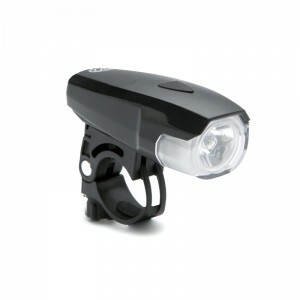 This light has a solid half watt of power and is plenty bright to light your way. Where this light really shines is in the little details one might miss at first glance. This headlight has excellent side visibility, something that can be lacking in other headlights of a similar price point. Another easy to miss feature is the side to side swivel built in to the handlebar mounting bracket. The bracket does require the use of a Phillips screwdriver to adjust for a handlebar size other than 26.0mm (it comes set for that handlebar size). The average run time is 100 hours on a set of AA batteries. The Cosmic Dreadnought 110 has become my favorite and most used front light despite the fact that until recently I had been skeptical of PDW’s light offerings. For commuting lights I had always been a fan of the simplicity, functionality and price of the lights manufactured by Planet Bike and I particularly liked the dependability and uniformity of their lights’ mounting hardware. With respect to their front lights, I had tried a number of their offerings, including the 1 watt Blaze, and settled for the 1/2 watt Blaze based on its decent compromise between battery life and brightness. So, when I heard that the former light designers at Planet Bike had begun their own line of lights at PDW, a Portland based company, I was genuinely intrigued. However, I was not sold on their front lights at first, though I must admit that much of my skepticism was due to what I found to be a visually annoying glowing blue light feature that used to adorn the top of their front lights. 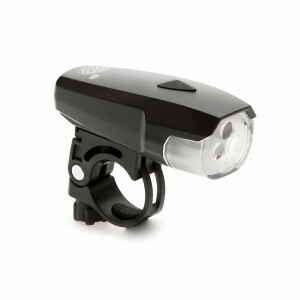 Then, a few months ago, I was given a chance to try the PDW Cosmic Deadnought, PDW’s new 1 watt front light. The light has a much more minimal look to it and there is no glowing blue light! Better yet, when I removed my half used batteries from my Planet Bike 1/2 watt blaze, I found the light to be tremendously brighter and more illuminating, which maybe is to be expected from a full 1 watt l.e.d. light. Though, after more prolonged use, I found that the battery life for the Cosmic Dreadnought was significantly longer than that of Planet Bike’s 1 watt Blaze and I found the Dreadnought to still be more illuminating after a period of time! The Dreadnought takes a standard size battery (two AAs) which appeals to many riders who find that similar lights with integrated rechargeable batteries leave one exposed to the possibility of being left stranded with a dead battery and no option for a quick replacement or recharge. The use of AA batteries does still allow one to use rechargeable batteries, while also permitting a rider heading out on a long ride to carry some spares. Lastly, as for the light’s external hardware, the Cosmic Dreadnought’s outer casing is much durable than any other plastic light I have used and I have failed to break it after now innumerable concrete drops. Better still, the light also uses a nearly identical mounting system to the one used by Planet Bike for a number of years. This tried and true mount holds fast, is easy to use and can be purchased independently; alloying you to affix mounts to all of your bikes (if you are so fortunate to have more than one) for easy light swaps. All in all, I think the designers at PDW have taken all of the features that I have appreciated on previously owned front lights and incorporated them into a single, well designed, durable, and bright front light that will be difficult to top at its current price point of $60.